I've been a fan of reading blogs for a while now. I used to sit in the lonely hours of the night, breastfeeding and holding up my reflux-y baby girl and I'd read tons of blogs that I found on Twitter. It's what made me want to write my own. And yet, the more I blog, the more blogs I want to read. It seems like every day I find a brand new blog to fall in love with. 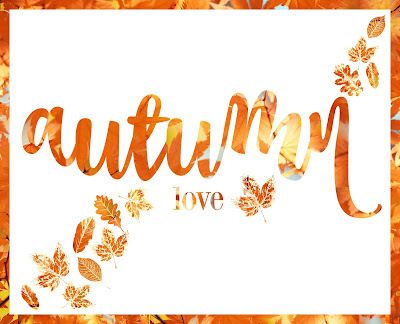 And this week, I'm loving the combination of this brand new interest, with my favourite season. A Cornish Mum | Beach Days in Cornwall – In October! I love this post because I'm one of those people that thinks the beach is a beautiful place all year round. PUMPKINS! You can hardly get more autumnal than pumpkins and this post fills me with photo envy, making me want to grab my camera and run out to the nearest pumpkin field (is that right?!) and start snapping pics of my family. All the best reasons why October is the best month of the year (in my opinion) in one neat post. And we're birthday-month-buddies so that's always worth a share! I love a bit of playdough. It's such a great activity for babies and toddlers - sensory, creative and fine motor skills all wrapped up in one easily adaptable product. Even better is the stuff you can make at home. As this post demonstrates, you can do so much and it is so simple to make yourself. This post makes me wish my walks to town were as lovely as this. I've always enjoyed wandering down the hill, the views are lovely and the squirrels are sweet, but it'd be so much fun to see some horses! Also, check out the colours of those leaves. That's autumn right there. I would definitely recommend that you take a look at these lovely posts. If you find any others then do let me know by sharing below in comments or tweeting me @ourcherrytree. 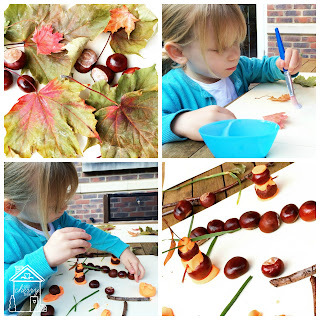 For more autumnal play inspiration you can check out my earlier post here. Aw thank you for including my post! I love the beach all year as well :) and love your other choices above.